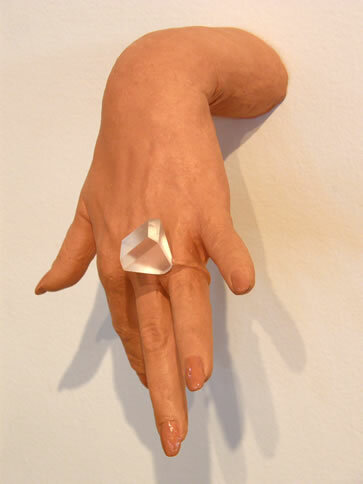 My work is informed by my interests in issues surrounding femininity and set standards of normalcy, propriety and societal expectation, while confronting traditional notions of what is beautiful and feminine. 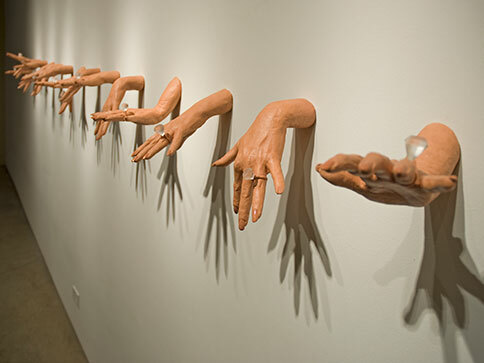 From the body of work, Primping and the Currency of Worth, sculpted multiple figural fragments provide a perfect vehicle for communicating these ideas about beauty and the way women are viewed and valued in our patriarchy. 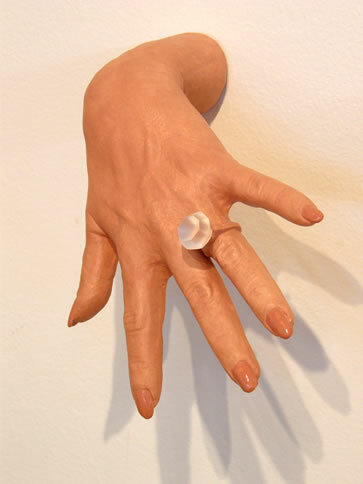 From primping, beauty regimens and accessorizing, my work explores issues related to power and beauty and how they impact womanhood. 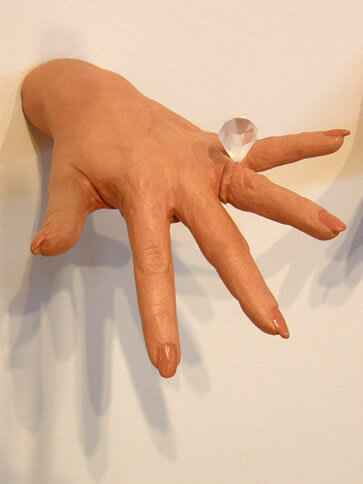 Combining formal elements of art and design to depict familiar accessories such as wigs, handbags, accessories and shoes contributes to the figures’ lifelike, yet grotesque feminine image. 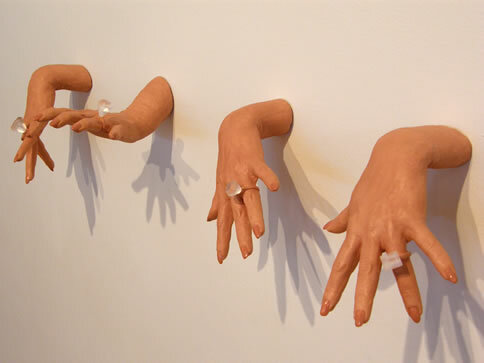 I am interested in examining the price women pay in conforming themselves to fit standards as well as the role women play in their disempowerment and own undoing. 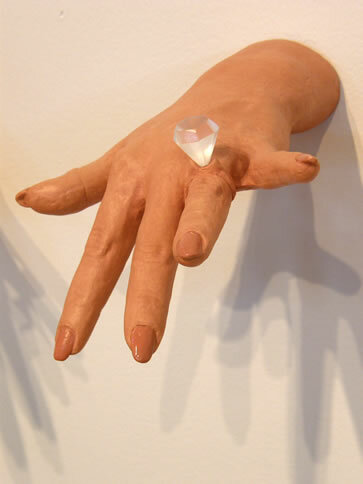 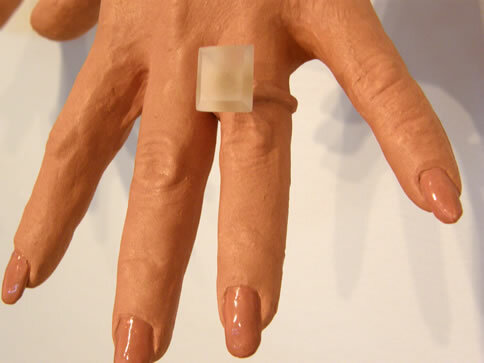 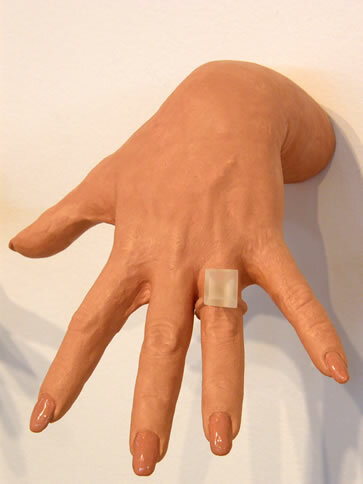 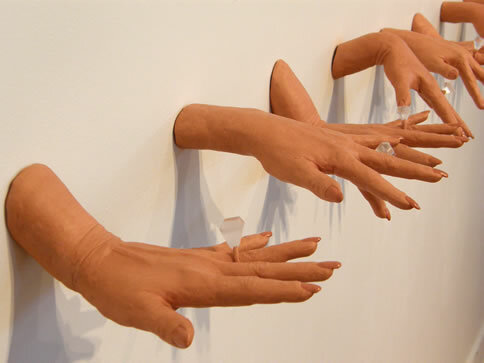 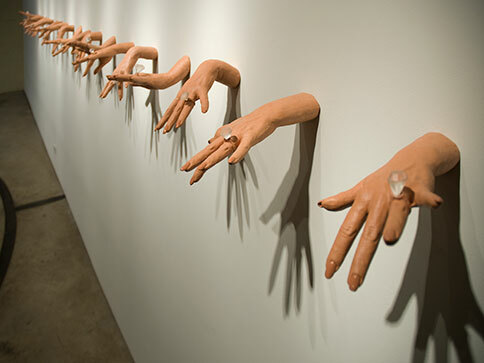 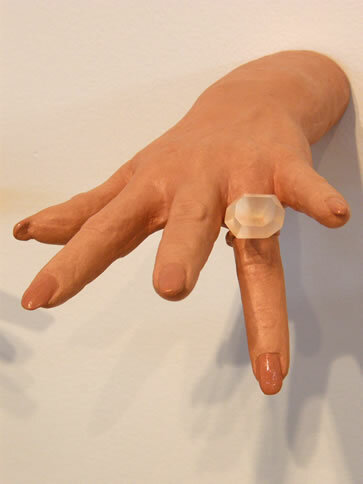 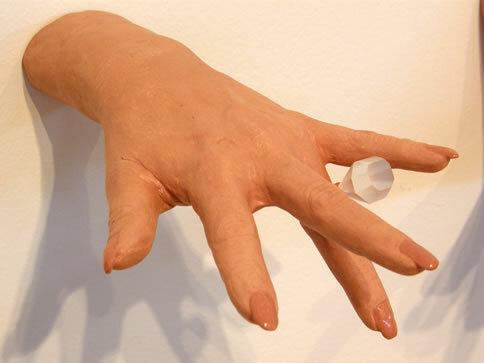 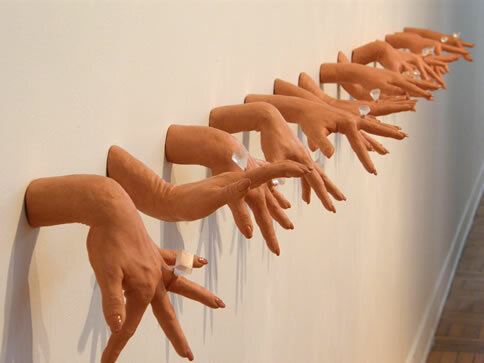 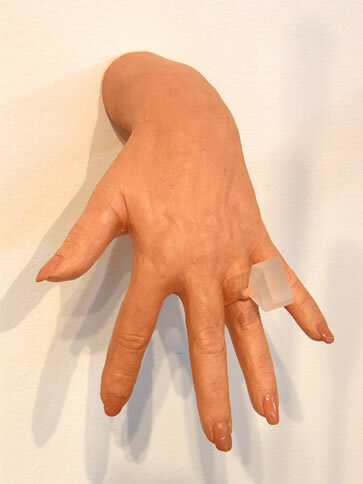 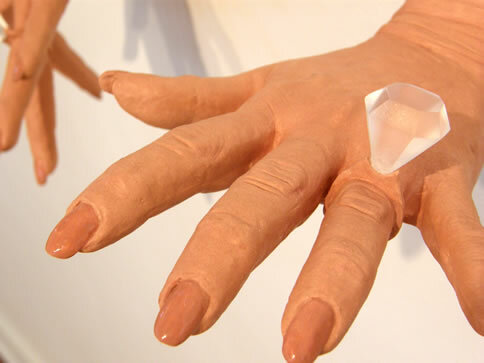 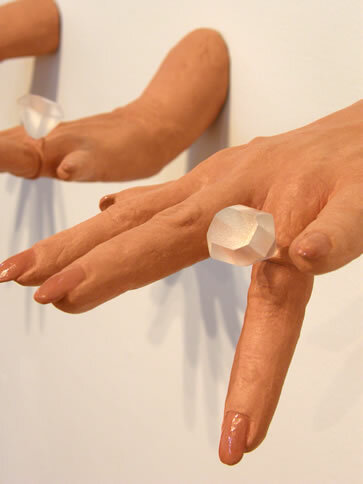 Tan Hands is a grouping of figurative fragments that explores the themes of class, social status, and personal worth.